It's been awhile since I sat down to write with no agenda. It looks like the best time to do it is 10:51 pm with my husband crashed on the couch and little boys grunting in their sleep up creaky stairs. The darkness is the best time, of course, to birth something you hope to be light. It's Advent now, but my world doesn't feel hushed like I wish it did. 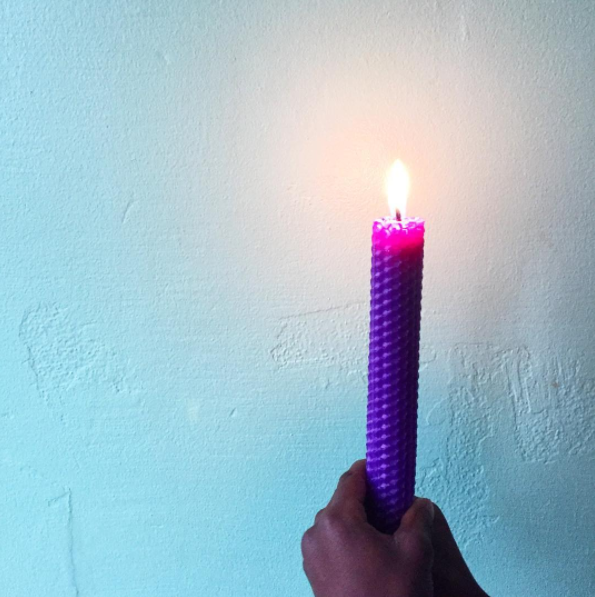 Advent, they say, is a "little Lent": a time of examen, of preparation, of waiting. I make pathetic attempts at waiting, and then sneak Christmas music in on the side. This year I just can't bear to wait in the darkness. We wait, we say, for the baby. Or we wait, we say, for the Second Coming. I gather my children, pull all those Y chromosomes in tight, and we light purple candles and sing Emmanuel and we sing for Him to come and I wonder if they can make heads or tails of it. They just like to watch the beeswax drip and we'll be working on proper execution of the sign of the cross until they graduate high school. Their utter lack of self-consciousness is refreshing. They're screwing up Advent, and they don't care one bit. Back in May, I was waiting for labor; I searched for it every day, my swollen feet making laps around the neighborhood. I logged in miles trying to will that baby out. I drank castor oil first thing in the morning on my very own birthday. Come, baby, come let me adore you. Fr. Richard Rohr notes that we love to worship Baby Jesus. Man, we love to wait for that Baby. I know I do. Advent and Christmas are easy. The Baby elicits awe and gratitude from us. The Baby requires nothing from us. It is so embarrassingly easy for me to love Baby Jesus. Baby Jesus doesn't tell me to pick up my instrument of torture and follow Him. Baby Jesus doesn't tell me that whatever I do to my fellow human, I have done to Him, and he SURE doesn't tell me that whatever I don't do for my fellow human, I haven't done it for Him. Baby Jesus doesn't tell me that the first will be last or that the poor are the blessed, or that I'm supposed to turn the other cheek. Baby Jesus comes to tell me that I am loved and that I am lovable. And -just as importantly- that you are too. And I will spin myself in circles for two months with euphoric, pine-scented zeal over that fact and rarely (more rarely than I'd ever want you to know) think about the rest. The Baby who demands nothing of us, we all so clearly know, becomes a Man who asks everything. Jesus the Man lays before us a path of action, a path of justice, a path that requires discomfort, heartache, loneliness, and fear. O come let us adore You. My sister teaches second grade in an urban elementary school in Nashville. Her kids aren't lighting Advent candles with their families at night. Her kids are coming to school scared, coming to their safe teacher asking impossible questions about the country that is supposed to be theirs but they know is not. They know it isn't. Children in Aleppo are burning while my boys watch flames on our dining room table, and I didn't want to write that any more than you wanted to read it. Can't we worship the Baby and not the Man? We wait, they say, for the Baby. Or we wait, they say, for the Second Coming. The children of the world call our bluff. The children of the world sing loud through their eyes, sing tidings not of comfort and joy, but of begging and pleading. Wake up. They don't wait for our apologetics, they wait for the restoration of all things. I may await the Baby by lighting candles in the darkness around the table with my family, but I await the Christ by reaching out my hand to the foreigner, the alien, the refugee, the homeless, the imprisoned, the handicapped, the poor, the hungry. If there be any tradition I hand down to my children when all year is Advent, all year we wait for restoration, may it be that.